68. Limmud, the popular Jewish learning program first established in Britain, has operated in Ukraine for five years, said Irina Knopova, who volunteers as a transportation and logistics manager for Limmud in Ukraine. Puralistic by design, a Limmud conference operates on a residential conference model, offering lectures and discussions on Jewish topics, debates, workshops, music, and dance. Multiple sessions are held simultaneously, giving participants an opportunity to select topics of interest to them. A festive Shabbat celebration, with various worship and non-religious cultural options, always is on the schedule, as are activities for children and families. The chief administrator of Limmud Ukraine is the only compensated employee; she also is responsible for Limmud in Belarus and Moldova, said Ms. Knopova. The President, Yosif Akselrud, is a volunteer. Volunteer committees on programs, organization, public relations, and other subjects make their own decisions. Feedback on all aspects of Limmud conferences is solicited and used in planning subsequent conferences. Russian-language Limmud conferences now are held in Ukraine, Russia, Belarus, Israel, the United States, Canada, and Australia, although the number of such gatherings varies from country to country. Russian-speaking Jews from one country often attend Limmud in other countries. Although Limmud is subsidized by outside foundations and organizations, all participants pay a portion of their expenses, said Ms. Knopova. Volunteers receive discounts, she noted. Irina Knopova manages Jewish education programs at the Jewish Agency for Israel as a career. She directs transportation and other logistics matters as a volunteer in Limmud. She serves as a member of the Limmud organizing committee. 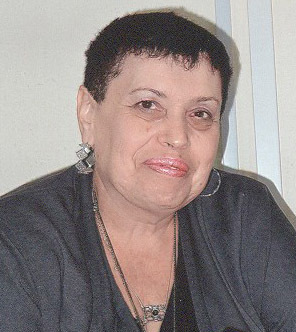 The first ever Limmud conference in Ukraine attracted 1,000 people, Ms. Knopova stated, attributing the high number to its novelty at the time and the fact that it was free. Since then, she continued, Limmud has convened several times in Odesa and once each in Vinnytsia, Uzhorod (in the Carpathian mountains near Slovakia), and Truska-vets' (in the Carpathian mountains near Poland). These subsequent conferences typically draw 300 to 400 people, said Ms. Knopova, and often are held in conference facilities near airports. 69. Due to illnesses of several of its residents, the writer was unable to visit Moishe House, a program in which young adults prepare various Jewish activities engaging other Jewish young adults. 70. The writer met with Marina Lysak and Masha Pushkova at the Sholom Aleichem House in downtown Kyiv where the two young women maintain an office within a small multi-purpose room. The well-known Yiddish writer Sholom Aleichem had lived in another building on the same site, said Ms. Lysak and Ms. Pushkova. That building was in bad condition and was torn down some years ago, the two women continued, and the current two-story building was constructed in the same place. The government maintains it as a small museum, with a gallery showing the work of Jewish artists on the first floor and a Sholom Aleichem museum and the multi-purpose room on the second floor. JAFARI, the urban Jewish safari (scavenger hunt) that the two women operated, has collapsed, they said. Access to many areas of downtown Kyiv now is limited by the continuing closure of the Kreschatyk (main boulevard in Kyiv) and adjacent areas, and few people retain the economic well-being that would permit them to drive their cars around the city on scavenger hunts. Further, increased city crime might endanger cer-tain aspects of this activity. Teaching Hebrew and planning special events has become their "Plan B," they said. They teach Hebrew classes in the Morasha program of Rabbi Bleich's synagogue and also tutor private clients. They design and supervise special programs for the Jewish Agency, they stated. Masha Pushkova, right, has broad work ex-perience in Jewish education and culture. Marina Lysak, who earned an MBA at a British university and previously worked as an investment adviser, now is unemployed and attempting to work in the Jewish com-munity. Both women work only part-time. They both were heavily involved in the Maidan protests, they said, and they organized the airlift of wounded protesters to Israel following the shootings on February 18-20. They were on the square when shooting began. The police, who were closely allied with Yanukhovych, blocked the movement of medicines and medics to those who were wounded; in fact, the women stated, the police actually shot some people who attempted to assist the wounded. Demonstrators raised money on the square to purchase medications and medical equipment; after buying out local medical supply stores, they organized convoys to drive to outlying areas in search of the required materials. Along with others, Ms. Lysak and Ms. Pushkova realized that the injuries of the victims were too serious to be treated properly in Ukraine; complicating the physical wounds was the fact that many of the wounded had lost their personal documents in the struggle on Maidan, so it was difficult to identify them. It so happened, said the two women, that some Czech physicians were visiting Kyiv at the time of the Maidan protests; they volunteered to take some of the wounded back to Prague for treatment, but the Czech government balked at issuing entry visas, apparently believing that assistance to injured Ukrainians would antagonize the Russians. Although no attempt had been made to formally organize a group of Jewish quick responders, related the two women, most people working in that capacity on Maidan were activists in Jewish community organizations. Therefore, it seemed natural to contact Israeli health officials for assistance to seriously wounded protestors. Israeli officials were not helpful, the two women continued, perhaps because the Israel Ministry of Foreign Affairs was on strike at that time. Consequently, Ms. Lysak and Ms. Pushkova contacted different Israeli hospitals directly, using Facebook as a com-munications tool. Finally, several hospitals agreed to accept several wounded pro-testors each, as long as payment was secured in advance. The two women quickly raised $500,000 from both Ukrainians and foreigners to charter a German plane and cover initial medical costs of the wounded in Israeli hospitals; 10 seriously wounded protestors were airlifted to Israel, five of whom had returned to Ukraine by mid-April. Ms. Lysak and Ms. Pushkova continue to work with wounded Maidan victims and with Ukrainian soldiers wounded in battle with the Russians, sending some to other countries for therapy. Obviously, they need to raise money for this purpose and work with partners in foreign lands. 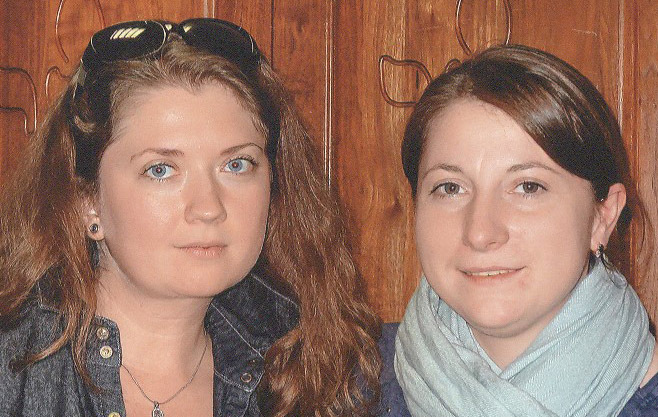 The sudden need for emergency medical services, sophisticated surgery, and complex long-term therapeutic care has underlined the glaring inadequacies of the Ukrainian medical system, said the two women. No rehabilitation institution worthy of the name exists anywhere in the country, the two women continued. Further, medical profes-sionals seemed absolutely unaware of the condition of post-traumatic stress disorder, now afflicting many who were on Maidan. Ms. Lysak and Ms. Pushkova, well-educated and fluent in English, had never heard of it until a foreign associate suggested that the two women themselves might be victims of PTSD. With their English-language skills, Ms. Lysak and Ms. Pushkova used the Internet for self-education, but that option is not available to everyone in the country and probably is insufficiently professional for medical and social service specialists. When asked about their own futures now that their JAFARI business had ended and Ms. Lysak no longer worked in the investment field, Ms. Lysak and Ms. Pushkova said that they were now living "another life." Each acknowledged strong feelings of stress. They continue to volunteer with the wounded and families of the wounded, to organize volunteer groups to do similar work, to teach Hebrew, and to work with the Jewish Agency whenever such opportunities occur. They would like to help Ukraine as a country, but are not certain what they can do. From their own experiences, they understand that Ukraine needs a much stronger and much more sophisticated medical system and a much stronger and much better organized military force, but they themselves lack qualifications in these fields. They also noted that the government of Ukraine has no financial resources with which to implement necessary reforms and improve services. 71. PresenTense is a Jewish organization currently working in the United States, Israel, and certain Russian-speaking countries. Its goal is to encourage and develop an entrepreneurial approach to Jewish leadership and community development. It offers training in necessary skills and provides a support network. It is backed by several Jewish foundations, North American Jewish federations, and certain large Jewish organizations, including the Joint Distribution Committee and the Jewish Agency for Israel. In Ukraine, it is housed within the Jewish Agency and coordinated with the JAFI incubator program (Hamama). The writer met with Ihor Kozlovsky, Director of PresenTense in Ukraine, and several other individuals connected with the organization. Mr. Kozlovsky and his colleagues declared that one of their key programs is Face-to-Face, which brings local Jewish young adults together with different successful Jews - perhaps a businessman, rabbi, professor, and physician - to discuss their perspectives on current issues. Another forum enables younger entrepreneurs to interact with older, more established business people. Ihor Kozlovsky directed PresenTense in Kyiv at the time of the writer's visit in April. However, he expected to emigrate to Israel shortly after her visit. From these and other experiences, organizers hope to develop a "social entre-preneurship community" that will enhance Jewish life in a "socially responsible" man-ner. PresenTense has invited program/project proposals from Jews in Kyiv, Dnipro-petrovsk, Kharkiv, and Odesa; implementation funding will be sought from outside sources for those projects that are judged to have the greatest potential for success. When asked for examples of proposals received to date, Mr. Kozlovsky listed the following, noting that all required implementation within the Jewish community: an open space for Jewish young adults in which creative and performing arts could be explored, along with research into local Jewish history, music, and dance; a history of Jewish heroism in World War II; a hamburger restaurant that would feature Jewish and Israeli variations of this food; a project on Israeli music; a technology bridge between Israel and Kharkiv; compilation of case studies on the conduct of business according to Torah; and replication of Israeli emergency medical services in Kyiv, initially just within the Jewish population of Kyiv and then extended to the broader population. A committee drawn from the PresenTense 13-member local board will evaluate the proposals and select the awardees. The awardees must sign a contract to attend a five-session seminar that will address business skills, budget development, public relations, website development, and public speaking. They also must meet with a PresenTense Board member, who will be a mentor, at least once monthly. Professional coaching also will be required. Notwithstanding the detailed attention given to this plan, it had not foreseen the possibility that some of its principal personnel and targeted entrepreneurs soon would find its content irrelevant to their needs. Mr. Kozlovsky stated early in the writer's meeting with him, "Of course, aliyah is at the top of everyone's priorities." He then mentioned that "most" PresenTense Board members no longer live in Ukraine and that some applicants also are emigrating to Israel. Finally, in response to the writer's question, he acknowledged that his own aliyah plans are in a very advanced stage and that he would be on his way to Israel in the near future. 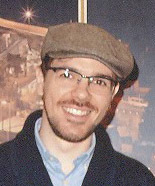 Mr. Akselrud also is the regional director of Hillel. See pages 90-91. A support group for the Maidan victims then in Israel quickly developed in Israel, with about 115 volunteers visiting the Ukrainians in Israeli hospitals, providing them with clothing and helping them in other ways. According to Mr. Kozlovsky, 70 percent of the Board members are successful Jewish young businessmen and 30 percent are Jewish community leaders.